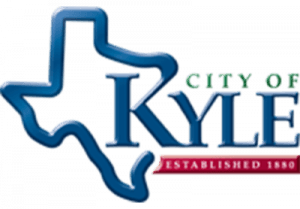 The City of Kyle is located in Hays County in Central Texas. Kyle was incorporated in 1880 and has a population of about 43,000 as of 2017. It is known as the Pie Capital of Texas. Kyle’s emergency operations are under the auspices of the Hays County Office of Emergency Services (OES), which provides for the safety of Hays County residents through emergency preparedness and response. Kyle and Hays County use the CAPCOG Regional Notification System to notify residents about specific emergencies. Cellphone users must register their phones at WarnCentralTexas.org to receive those messages by phone, email and/or text. Information regarding emergencies is also distributed through HaysInformed.com and on the city’s website, cityofkyle.com. The city also disseminates information on Facebook, https://www.facebook.com/The-City-of-Kyle-TX-Local-Government-196864470515448/, and Twitter, @KyleGovernment. Kyle does not monitor social media posts.